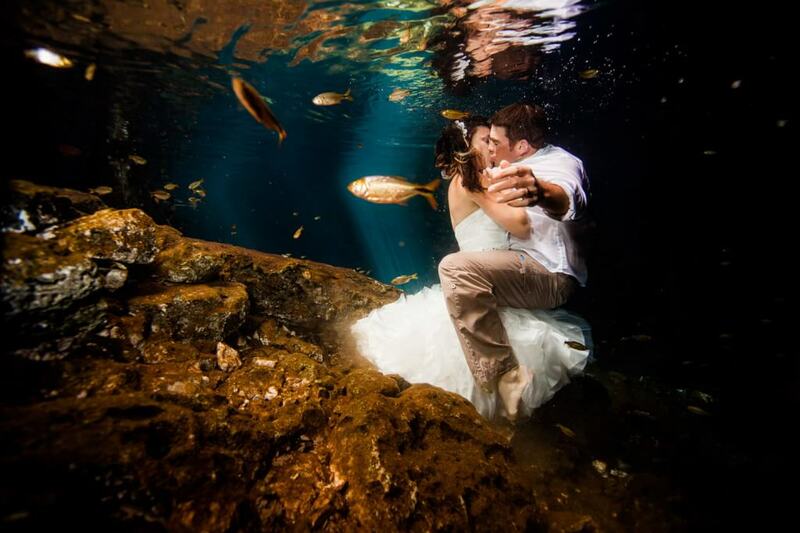 Steph is a police officer and Steve is a full-time comedian/part-time chiropractor… or something like that. 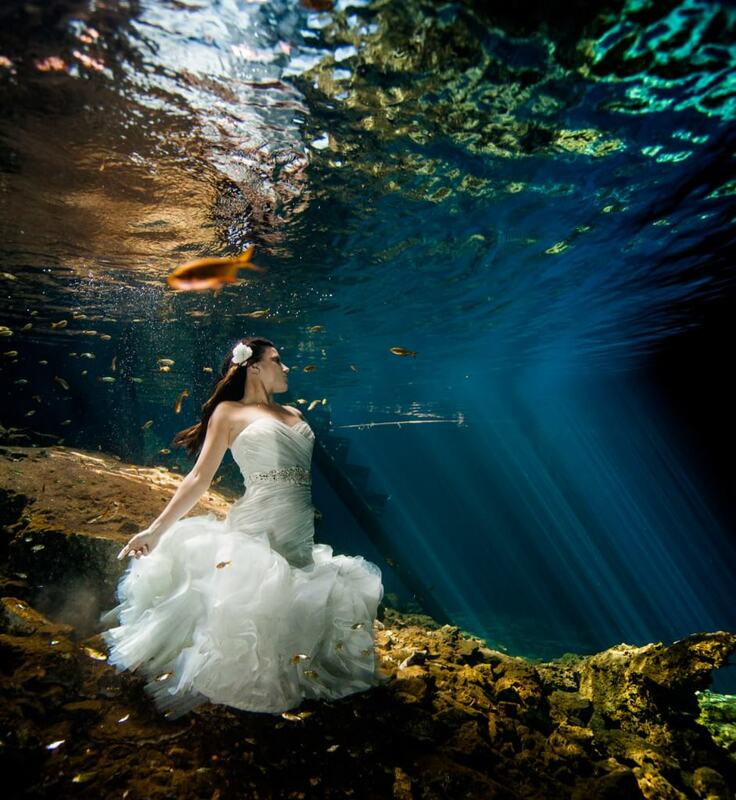 I was excited to shoot the newlywed’s underwater trash the dress session, but Steph was a little nervous. 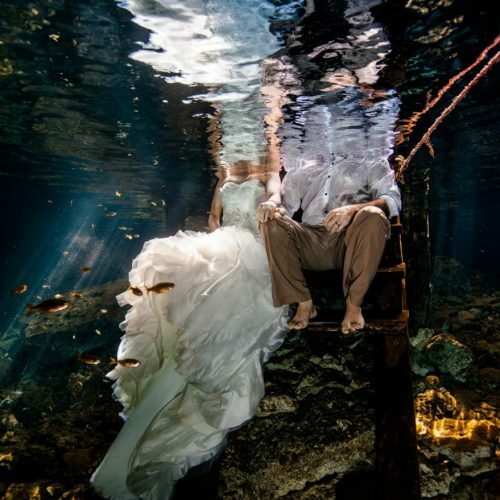 Unfortunately, Steph did some talking with her friends around the pool beforehand and was convinced her dress was going to be too heavy. 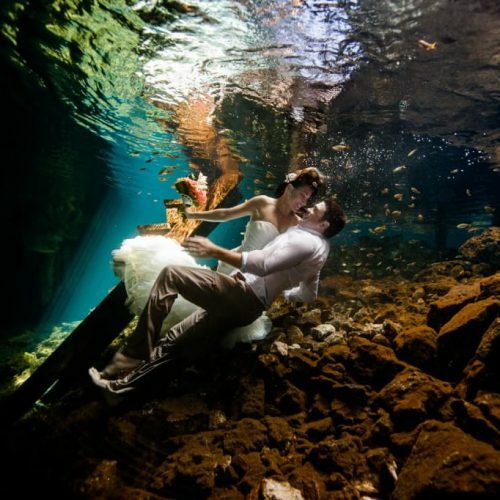 After the chat, she was scared she would drown. 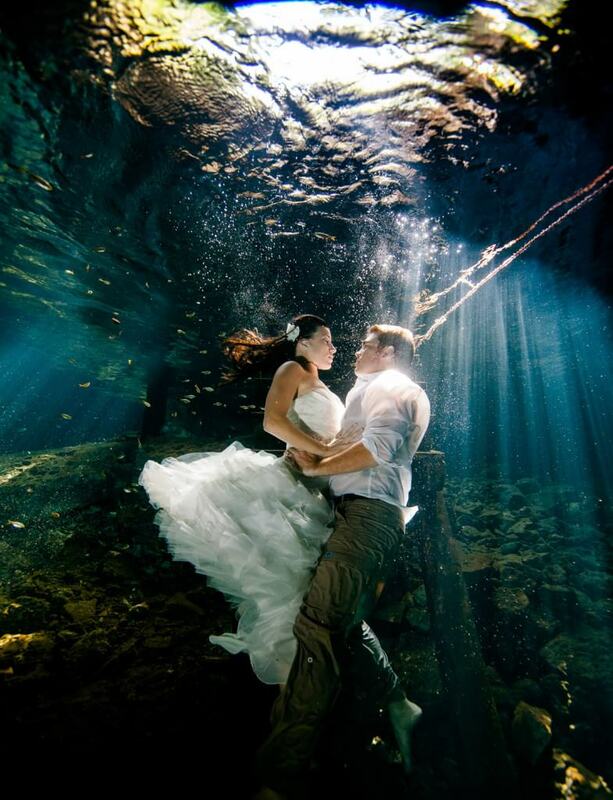 I come across this fear quite often with couples, but I have good news! 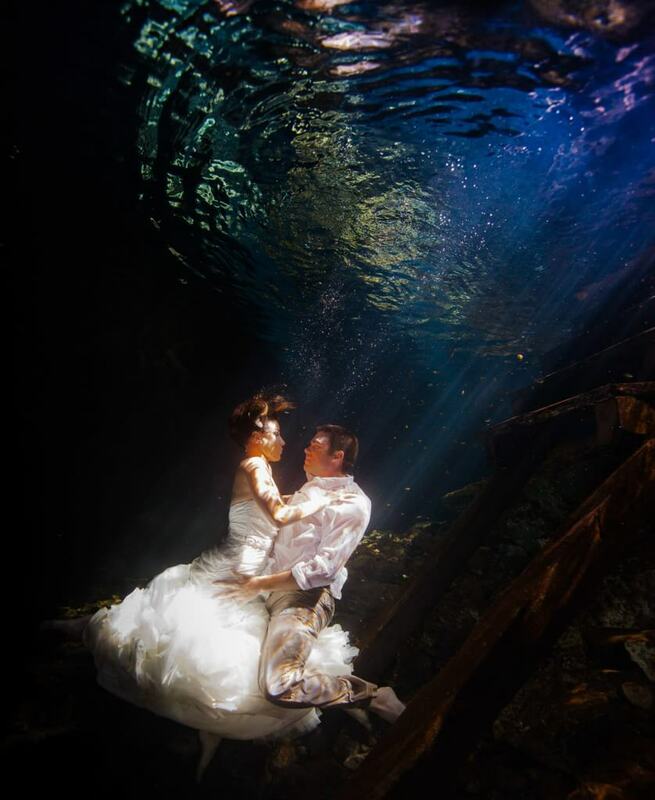 99% of dresses make you float. 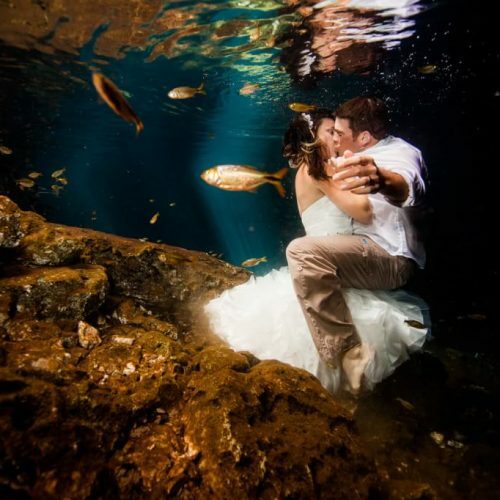 The bad news is, you probably aren’t going to believe me until I can prove it to you. 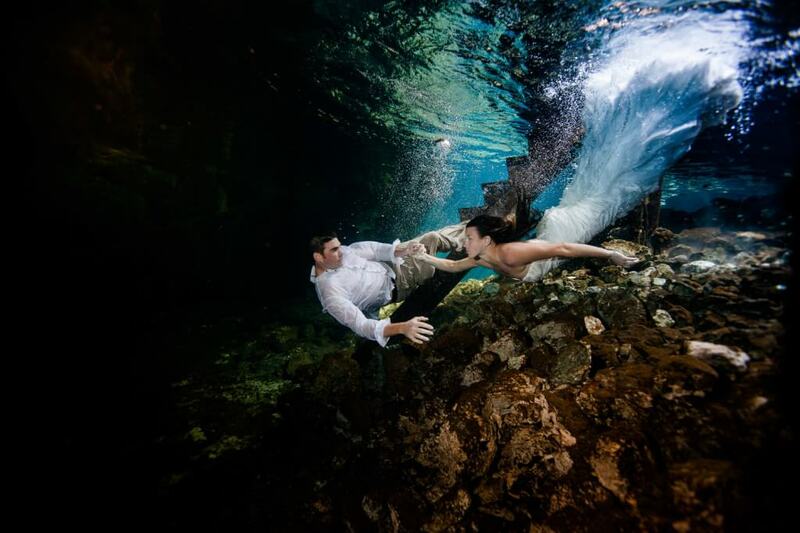 Couples almost always show up to trash the dress sessions nervous and a bit afraid of the unknown. 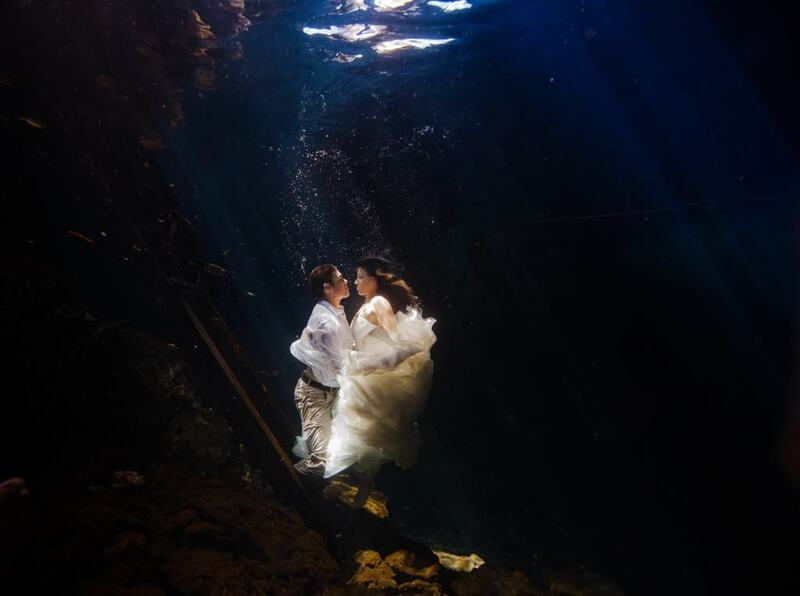 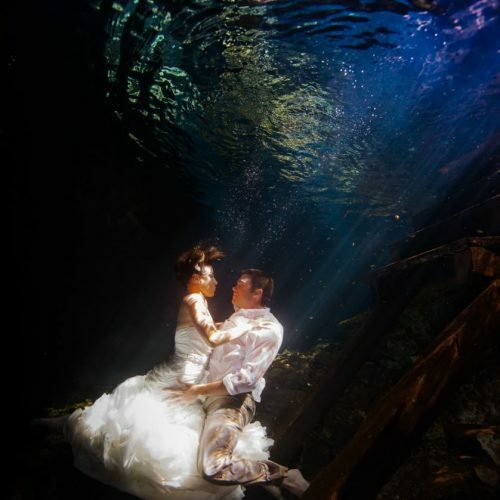 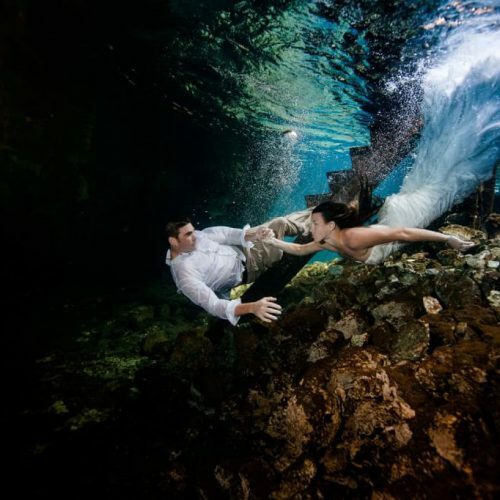 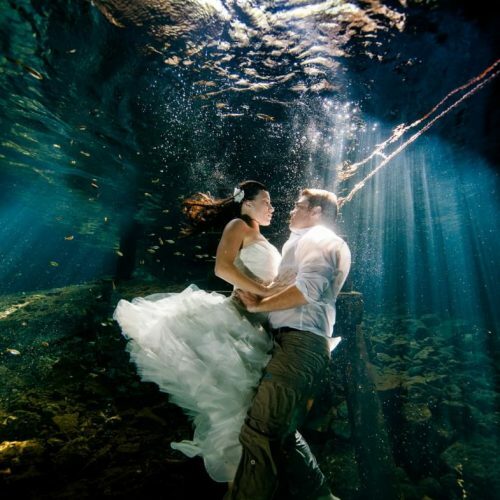 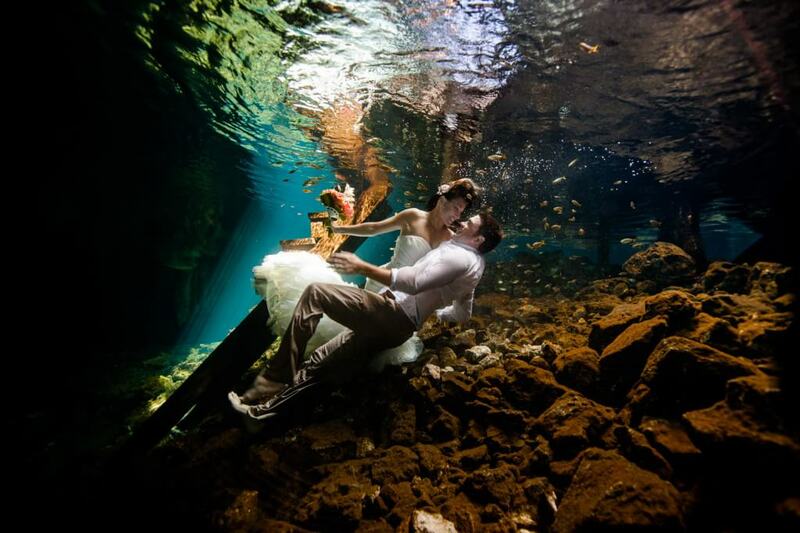 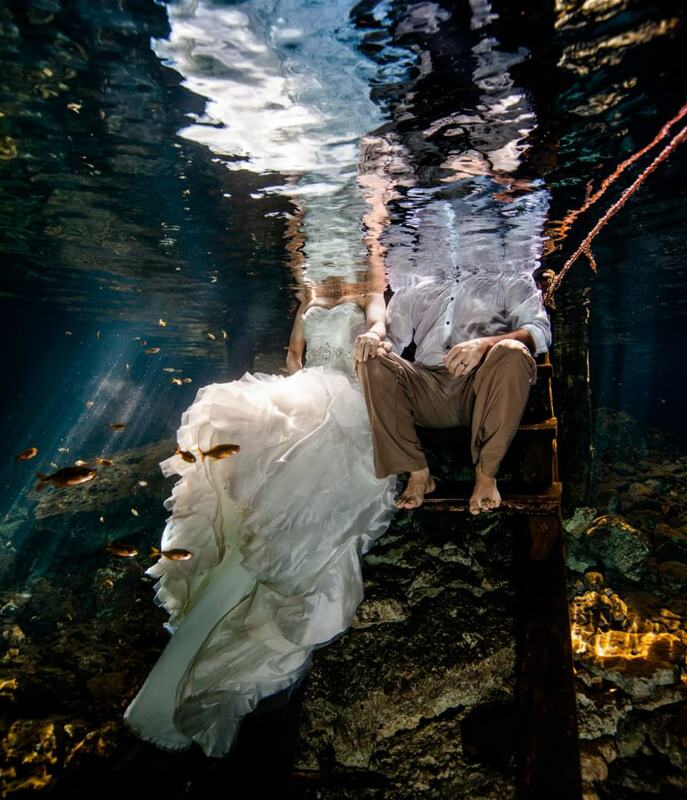 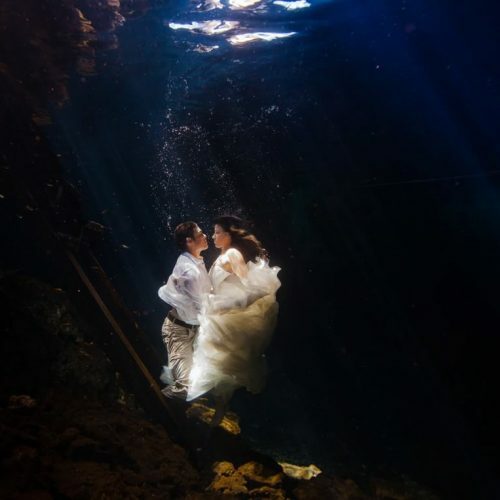 However, as a photographer shooting underwater trash the dress sessions, it is my job to make you feel comfortable and make sure you get the images you love.